AGCO Corporation (NYSE:AGCO), a worldwide manufacturer and distributor of agricultural equipment, unveiled the Hesston by Massey Ferguson® RazorEdgeTM 1300 Series pull-type disc mower conditioners during Husker Harvest Days in Grand Island, Neb., Sept. 11-13, 2018. 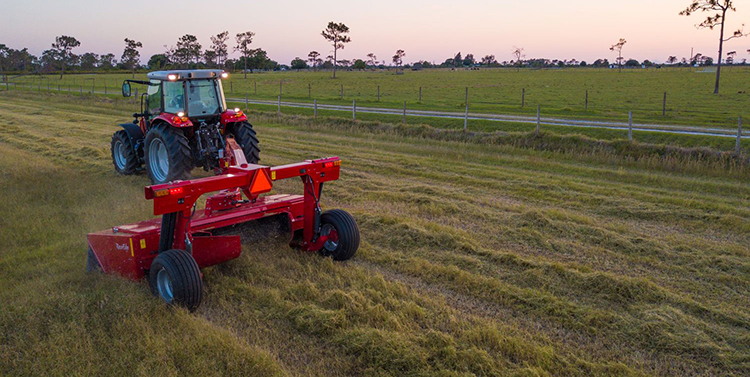 The RazorEdge 1300 Series are heavy-duty, with a fully welded frame for unmatched reliability and maximum efficiency even in the toughest hay-cutting conditions. The unique RazorEdge cutterbar ensures a smooth, clean cut, and the hydraulically tensioned conditioner system reduces drying time to optimize crop quality.